Welcome to the special exhibition: "Tsunoda Ryusaku"
Tsunoda Ryusaku(1877-1964), who graduated the School of Literature at Tokyo Senmon Gakko, the predecessor of the present Waseda University, spent most part of his life in the United States before and throughout the Second World War. 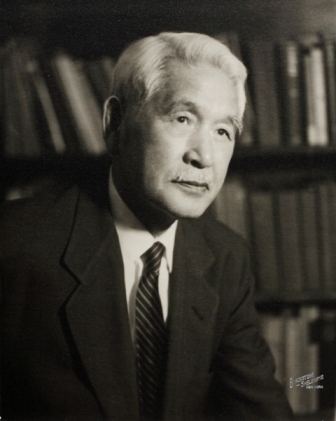 He founded the Japanese Culture Center, the institute specialized in Japanese cultural studies in the United States and taught Japanese studies at Columbia University. However, his name does not seem to be wellknown among Japanese people today. In this exhibition, we will show you Tsunoda's life and achievement as an outstanding example of cultural interchange, by exhibiting a number of materials appearing for the first time to the public. He introduced Japanese culture to American people and established a distinguished Japanese collection in N.Y. His activities could be regarded even today as an exemplary and very impressive intercultural exchange. We also hold the first international symposium on Tsunoda Ryusaku by inviting researchers in Japan and abroad, including Dr. Donald Keene, one of Tsunoda's pupils. 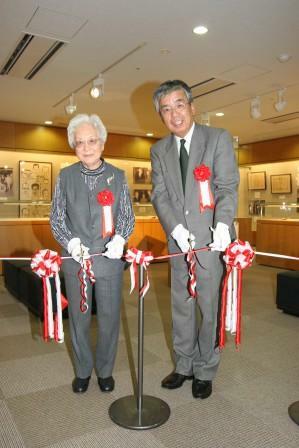 During the same period, we also hold another exhibition commemorating the inauguration of "Tsunoda Ryusaku Memorial Collection", newly available at Waseda University Library; the collection deriving from Tsunoda's personal library.